Did I tell you how much I love being a demo? I love meeting new people and I love spending time doing things I love and when you meet people who love the same things that you do, even better! Just a perfect match. 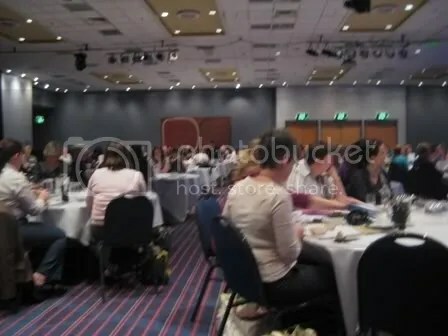 Yesterday I spent the whole day at the Regional Training Event held here in Brisbane for Demonstrators. It was fabulous, great to see all the demos from all Queensland and an opportunity to catch up with some good friends that I haven’t seen for a while. On Friday night, I was in a frenzy completing the last of my swaps. I ended up making 30 swaps, here’s my swap. Tell me what you think. And after swapping with so many ladies, there were so many more that I could see – if only I had a little more time to make more – isn’t that always the case? There were so many talented and creative people. Here are the ones that I came home with. There were so many people there. Here’s a few shots of the room and then of Aaron as he was the MC. 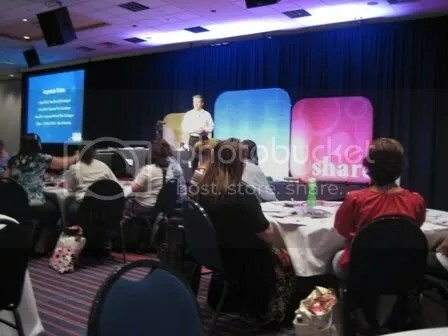 At training events like this and the annual Convention, Stampin’ Up likes to give away stuff and this time it was no different, they gave away two different stamp sets to 20 lucky people. AND I was one of the lucky people – I couldn’t believe it when I saw my name – I jumped up and down with joy and waved my arms around (something we had to do anyway – but it wasn’t hard when you’re so excited! )- it was awesome. 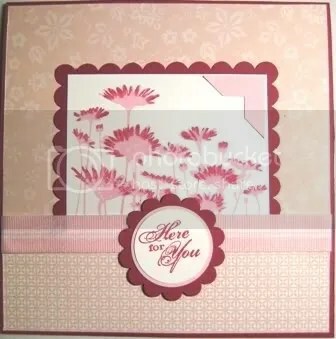 Unfortunately the stamp set is part of the Summer Mini (available in December) so I won’t be able to show you a pic until later, but I can tell you it’s a wonderful stamp set perfect for Valentine’s Day with some gorgeous images. 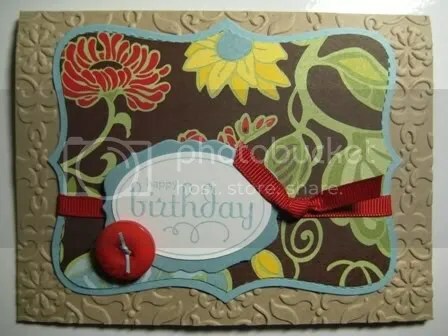 I can’t wait until I can show you the beautiful stamp set and the projects I make with it. Stampin’ Up spoiled us with a gorgeous buffet lunch and for dessert we all had a Cornetto or a Heaven – very nice! Yum! 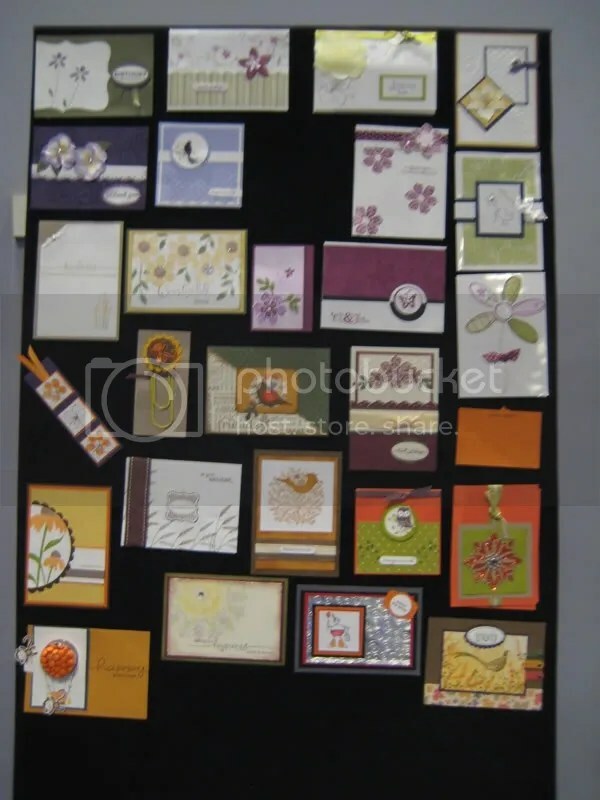 Not to mention at these training events we have lots of make and takes – 4 lovely projects using our included stamp set Every Moment. It’s such a wonderful stamp set – perfect for watercolouring. I’ll be using this one more often too. Finally there were some lovely boards with other samples. Have a look at these! 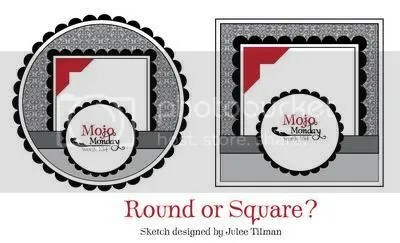 I combined these two challenges to create my pink card (Stamptacular 24) and using the sketch from Mojo Monday 154. 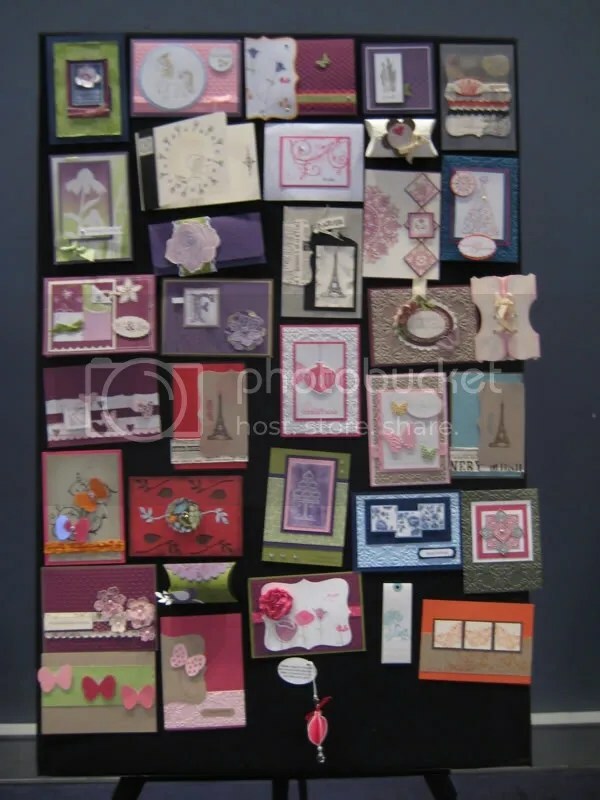 I used up some of my old retired papers to keep with the pink theme. What do you think? I’m a little late for the challenge, just a week behind, but the first thing that came to my mind was RIBBON WEAVING. So I made the card anyway. 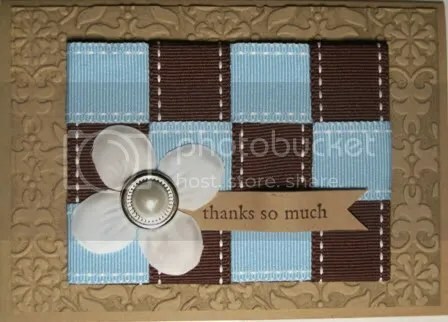 I love how I can use ribbon to create a gorgeous background and add some extra texture. Using my brayer to ink up my embossing folder with Sahara Sand (I’m waiting for my Crumb Cake ink pad…) – can you see how it just makes the backgroud pop? I used a fair amount of my retired stash for this card. Let me know what you think in the comments section. If you still haven’t received your beautiful copy of the new catalogue, click here to find out how you can get your hands on one. You can download it by clicking on this link (Warning it’s a very large file!). The other way is by browsing online. 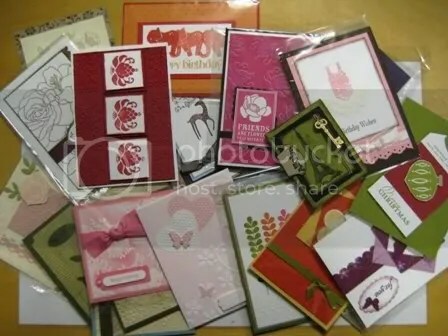 You can go to lyannageorge.stampinup.net under products and catalogues. Send me email to make an order or to find out how you can get some of these goodies for free. 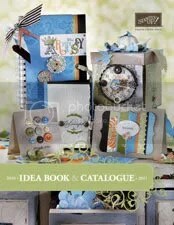 The new Catalogue is now here. 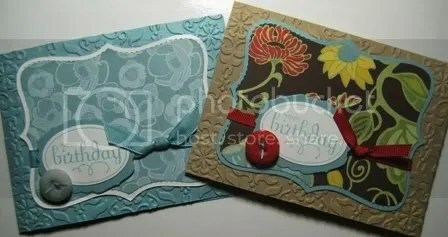 And here are two cards with the same design using the same pack of DSP. I’m loving this new paper. Isn’t it gorgeous! I can’t wait for the other two matching colours to arrive. 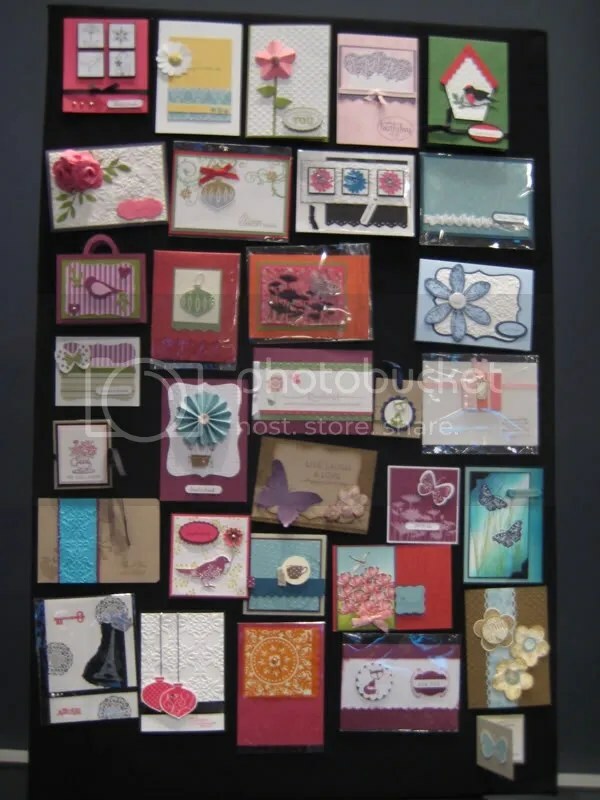 Both cards are also using the new Wallpaper Embossing Folder – it is absolutely devine! It embosses beautifully. I know I’m going to be to using this folder heaps! 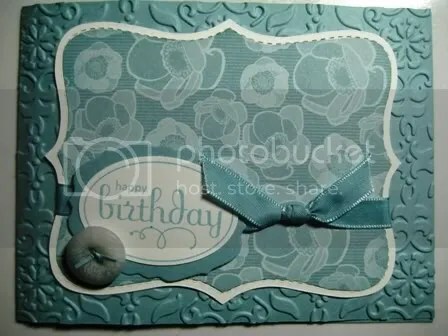 For this card, the background is using Crumb Cake – hmm delicious, it’s not really a new colour, it’s Kraft renamed and it comes with matching ink! Isn’t that fantastic news? As soon as I saw Baja Breeze, I knew that this would be a favourite colour of mine and here you have it, another Baja Breeze card. Do you like the ribbon? No, unfortunately Baja Breeze didn’t make it to the ribbon list, however I made my own by using an inked sponge on white taffeta and voila – baja breeze ribbon. I couldn’t let go of my Baja Breeze button, so it’s been resurrected from my retired stash… I’d love to knwo what your thoughts are – leave me a comment! I made all the Father’s day cards (including the ones for grandad and my dad), the kids have written in them and two of them have been sent. As for hubby’s card, it’s ready for Sunday. Here’s the card and the gift box. The box is empty as I still need to buy the items to fit inside… As the box is pretty big, (and it was a little difficult to photograph it) what do you think I should fill it with? 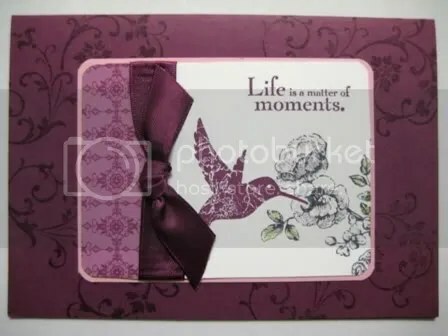 Here’s the card using the retired Greetings Eight stamp set and Haiku DSP. And a close-up of the double bow detail. A touch of brayering, I couldn’t decide how dark I wanted it, so the first card is brayered four times with ink to get a rich Baja Breeze colour, and the second card is brayered twice. Which one do you like best?